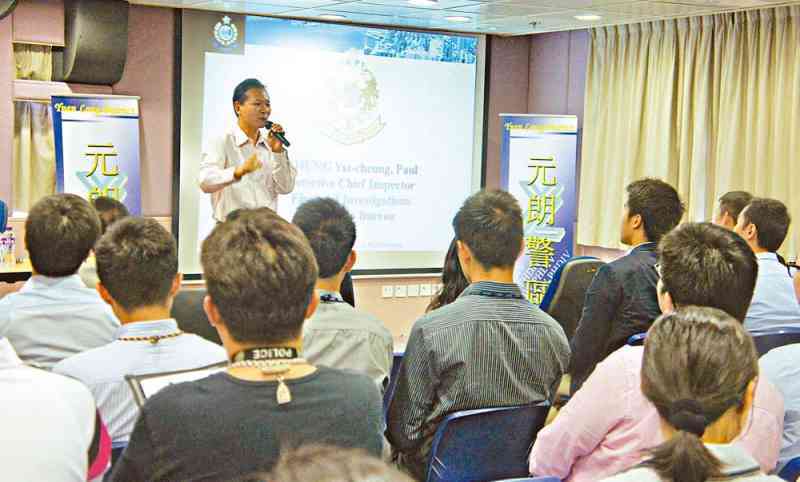 Yuen Long District (YLDIST) invited Chief Inspector (CIP) Paul Chung from Narcotics Bureau to share his knowledge and experience of investigating money-laundering cases in the YLDIST Knowledge Cafe on September 22. CIP Chung's talk covered planning, investigation skills, legislation, collection of evidence and case studies. The talk also attracted officers from districts in New Territories North Region, besides those from YLDIST, all of whom found CIP Chung's presentation very useful and inspiring. They also took the view that through the talk and a question-and-answer session, they would be in a better position to combat money-laundering activities.